80 000L tank with inner epoxy coating. 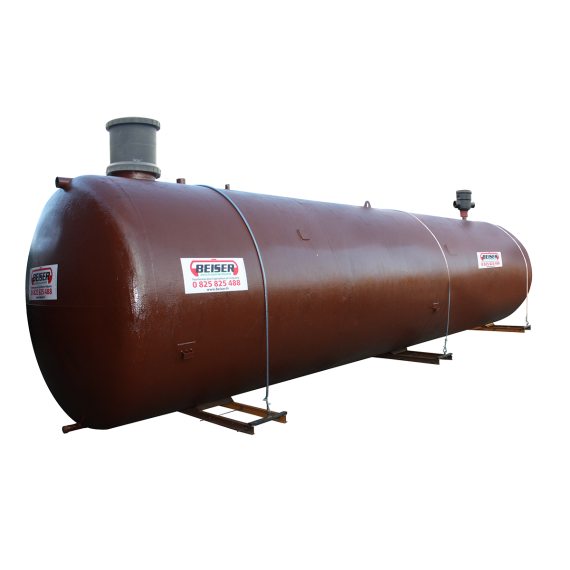 Special coating for buried tanks. For a roof surface of up to 150 m², Ø 110mm. Pump with a flow of 4.2m³/hour. Raft frame in raw steel for improved adhesion with the concrete. Riser supplied, Ø 500 mm.